What is fostering all about ? Fostering allows children and young people, who can no longer live with their parents, to live within another family where they will be closely supported. The foster home offers such children and young people security and the opportunity to do well in life within a caring and secure environment. Children that come into care do so for various reasons including neglect and abuse. The uncertain life they have often lived can result in the children having emotional needs and varying behaviour. Foster carers work with a team to ensure that the foster child is supported to live as normal a life as possible where they experience care and support. Each foster placement and every child is unique. The care that child or young person needs is therefore also unique and needs to be tailored to those needs. However, some needs always remain the same such as the need for security and stability. Foster carers play a vital role in the lives of foster children, it is with their guidance and nurturing that foster children are given the opportunity to live a brighter future and a successful life. As a specialist agency helping to find Muslim children appropriate Muslim foster carers, we hope you consider fostering in order to help muslim foster children in care. There are many different types of fostering, and it is important to understand this so that you can see whether fostering is for you. 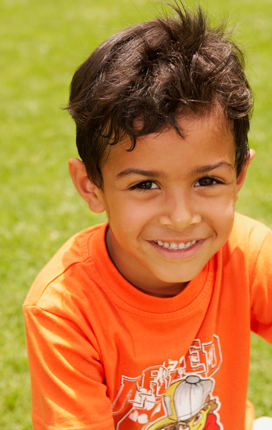 The duration of a fostering placement can vary depending on the circumstances of each individual child. Foster Care Link offers an number of different types of foster care arrangements. This can be anything from a few days to several months or longer and is usually needed because of a family crisis. Short term fostering provides a safe place for the child to live while social workers work with the child's family to try and sort out issues. Naturally, many of the children are confused and upset about the move and need a sensitive approach from their foster carers. Some may react by being noisy and defiant, others by being withdrawn and quiet. Each child will be experiencing their own muddle of emotions and foster carers have an important role to play in helping them understand what is happening. The aim of most short term fostering is to get the child back to their family as soon as possible. Sometimes children cannot return home to live with their parents. Their parents may not be able to change enough to be able to care for their children properly, even though they may love them. In these cases, medium term placements are made where a child or young person is with a foster family for a few years. Long term fostering allows a child to grow up in a stable, supportive home until they become independent. It is usually older children who need a permanent foster home. Many of them keep in touch with their families, and as a foster carer you will help them keep this link. Teenagers need carers who are tolerant, patient and flexible but also able to lay down clear boundaries so they know where they stand. Someone able to listen and help make sense of their world. Fostering teenagers may also mean getting involved with schools or further education colleges, or being in contact with housing and benefit agencies. Young people often need help to develop the maturity and skills they need to organise their lives. If a young person has been in care for some time, they may not have the confidence to look after themselves properly. Helping them to manage their feelings and behaviour, enjoy time with their family and friends, and feel good about themselves and their achievements can make all the difference. Relationships made with foster carers can remain important to a young person, even after they have moved on. Knowing there is a warm welcome and an occasional meal can make all the difference to their self-esteem. Fostering teenagers can be hard work, but the rewards can be great: the sense of fulfillment as a young person begins to trust you, enjoyment as you get to know them as individuals; satisfaction as you see them gain confidence and start to feel hopeful and optimistic about the future. Keeping brothers and sisters together is very important, even more so if the children are coping with changes in their lives. However once in care large groups of children are likely to be separated as there are fewer foster homes able to take three or more children. There is a great need for foster carers who can take on groups of children so if you think you would enjoy this type of care you may find you have a full house very quickly!